The sturdy construction of the Stainless Steel Spatula guarantees it will make your life easier for many years to come. With the stand edge ,the slotted spatula will protect creep down the food . For better control over your delicate food we make a very comfortable ,non-slip handle. 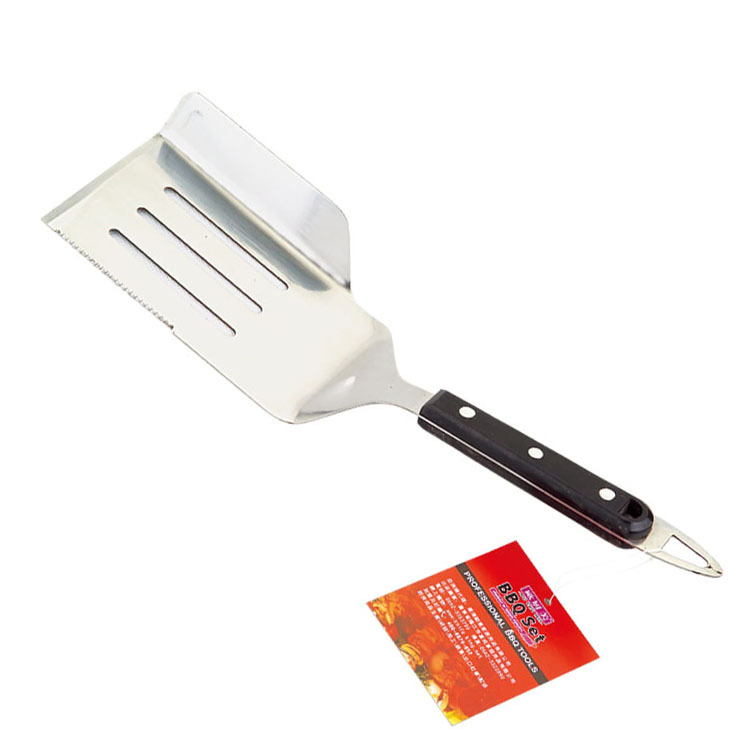 Also dishwasher safe.And we all love that sizzle on the grill as your succulent steaks, tasty burgers or sticky ribs cook to perfection, but don`t you just hate when you can`t seem to flip over the food smoothly.The bbq assistance of spatula will help you. Looking for ideal Slotted Spatula New Design Manufacturer & supplier ? We have a wide selection at great prices to help you get creative. All the Barbecue Slotted Spatula are quality guaranteed. 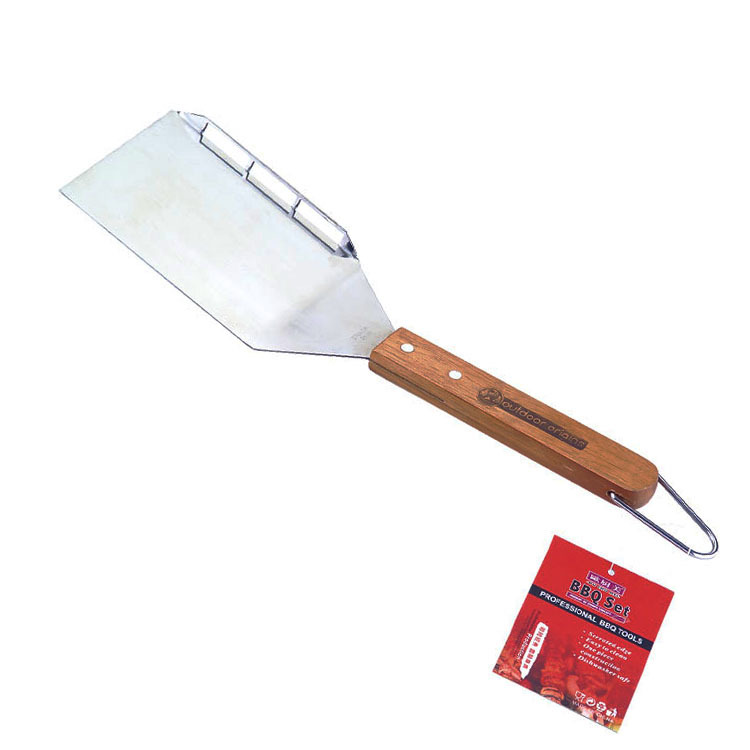 We are China Origin Factory of Bbq Grill Assistant Spatula. If you have any question, please feel free to contact us.